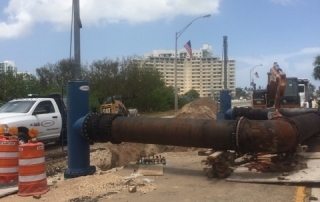 You have heard the expression “That two is always better then one”? 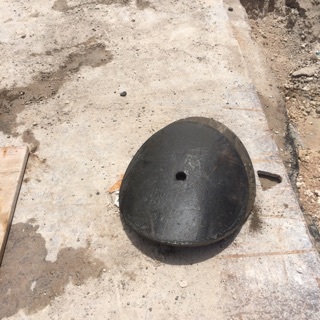 Well then four is even better! 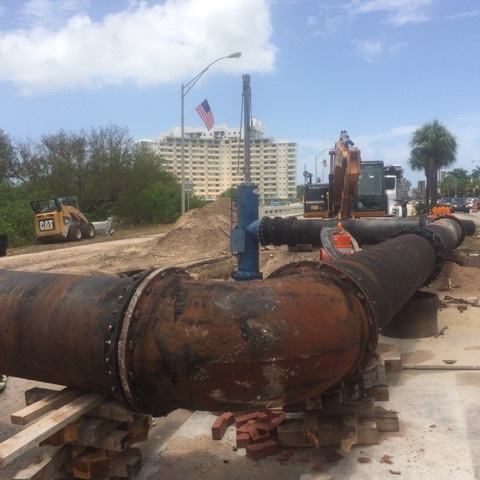 Recently Rangeline was called to perform a Quadruple 30″ Line Stops that’s right four Line Stoppers all in the pipe at the same time. 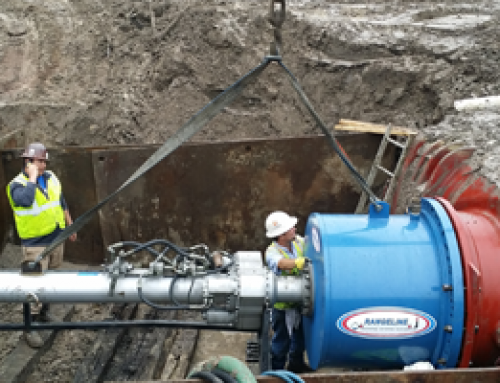 Rangeline had completed quadruple Line Stops before stopping smaller pipe but 30″ would be a new record for Rangeline. 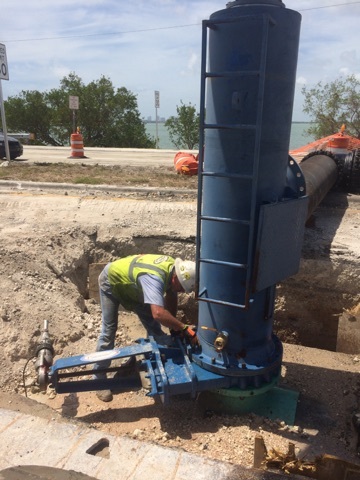 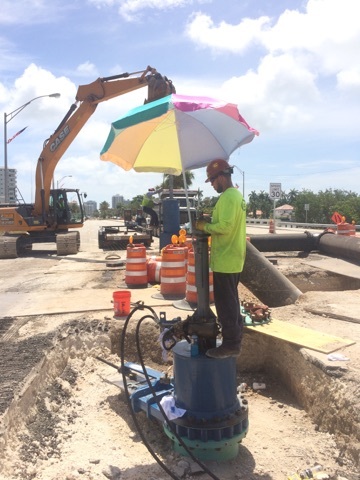 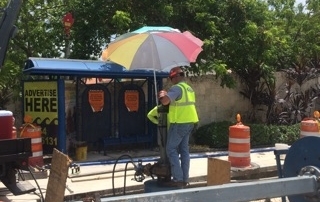 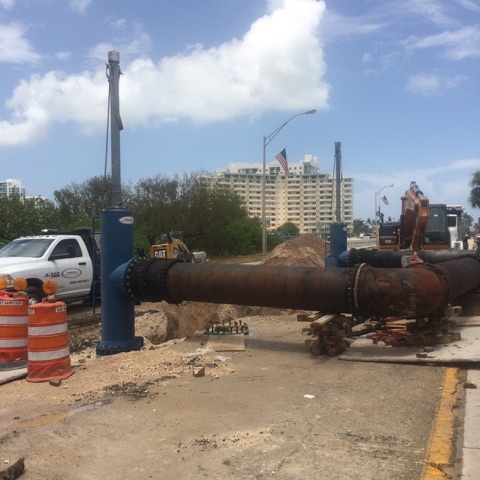 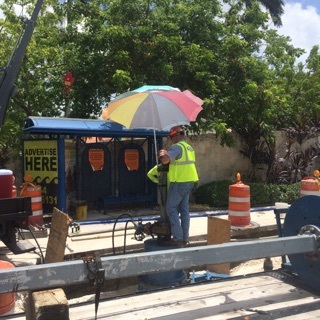 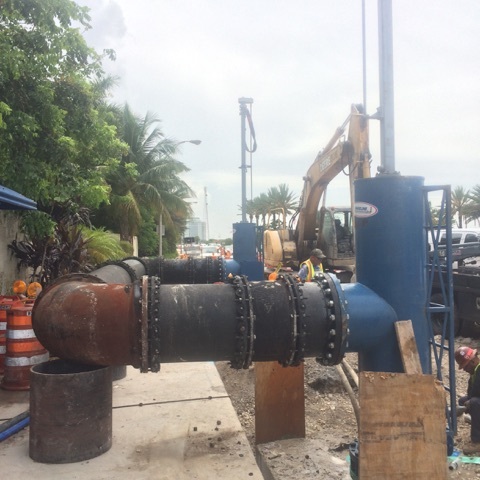 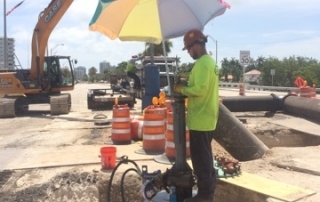 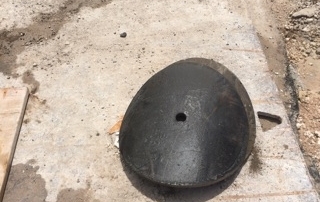 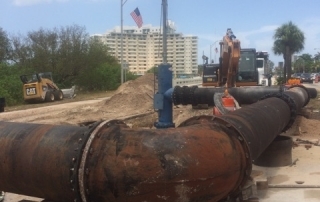 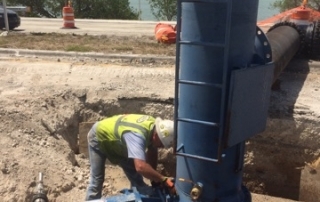 The quadruple Line Stops were needed to remove the 30″ water and force mains from and existing bridge in Miami, FL. 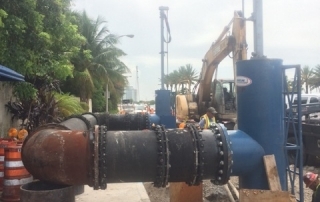 Rangeline crews performed four by-pass Wet Taps for the new piping to be installed and tested. 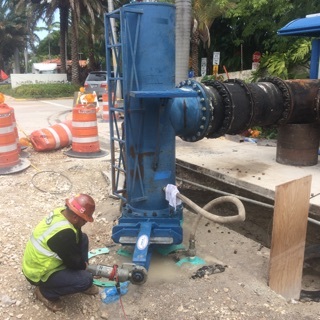 Once they were up and running Rangeline’s team of technician’s worked on all four Line Stoppers and inserted them all to isolate the existing and make the transition to the new piping system. 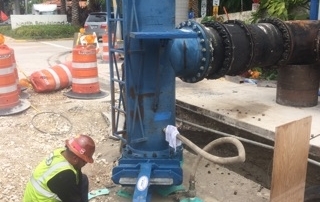 This Line Stop project was a great example of Rangeline’s experience and capabilities of re-routing critical piping systems while “Shut Down” is not an option!